This is a really, really good mail day! I ended up selling my Bruised Berry Dance Studio Jacket after the upload in anticipation of falling in love with the Bumble Berry one. The danger in not selling Bruised Berry before the Bumble Berry arrived was that I’d somehow talk myself into just keeping both ‘for a while, to think about it’. 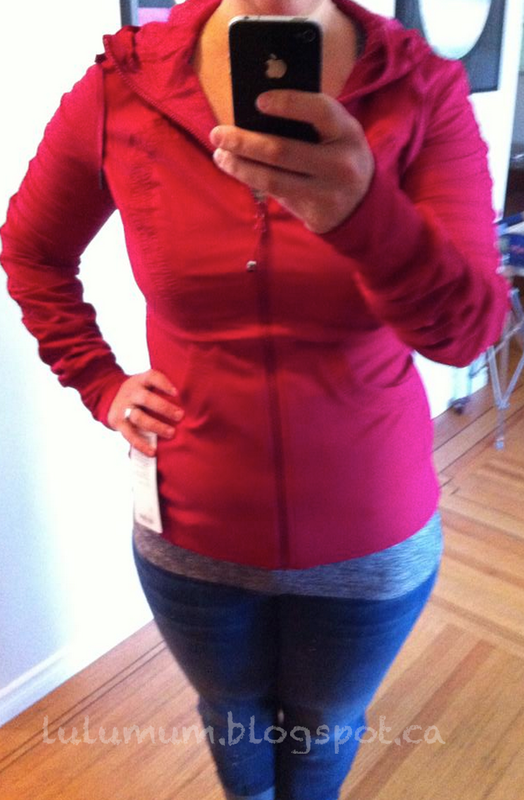 Well, the Bumble Berry Dance Studio Jacket is the prettiest one I have ever seen. The color photographs a lot pinker than it is in real life. In real life the color is just as red/cranberry as the Bumble Berry Cool Racerback and not pinker like the 105F Singlet in the same color. It is a stunner! I think this red is super flattering on most complexions. I stay TTS in the Dance Studio Jacket but many people like to size up. You don’t lose any of the flattering body hugging curves by sizing up. I’m not sure if it’s my imagination but this one feels slightly looser or more relaxed than my others. My other winner is the Awesoma Henley. 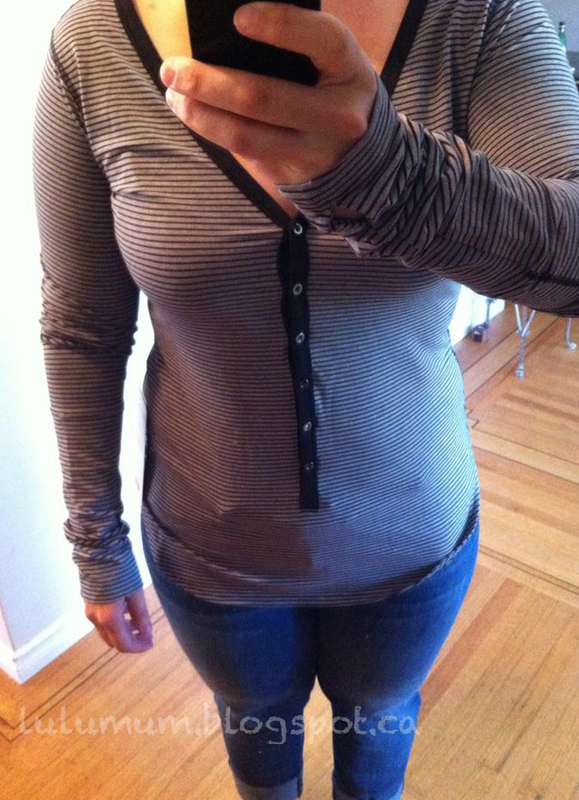 I wasn’t as interested in this Henley until I tried it on and saw how flattering and slimming it is. It is a very tricky fit if you are larger busted and short in the torso because the neckline is so plunging that it will expose you. If you have a small bust and a long torso your bust is sits lower on your chest so its not as scandalous. You can also layer it over a tank if you need more modesty. I size up in this to a 12 though because I found my TTS was too form fitting and clingy. I need RULU to have a bit more of a drape, with a skimming fit on me otherwise you see too many lumps and bumps. "Hyper Stripe Black Awesoma Henley, Race Your Pace 1/2 Zip and More"